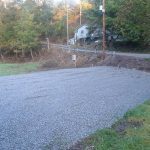 Home » Trail Blog » Trail Closure Update: Four Wheeler Heaven will still have direct trail access! The news came out today that the Pocahontas system of the Hatfield McCoy Trails will be closing temporarily for mining operations starting December 3, 2018. 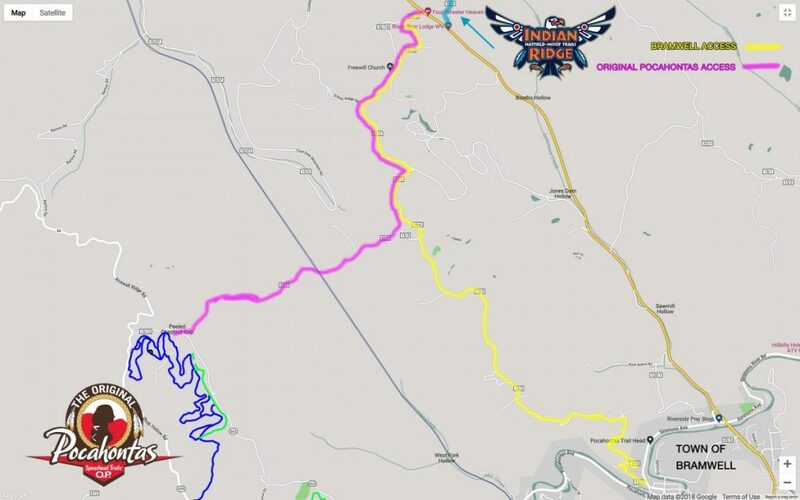 The good news is that Trail 15, which connects Four Wheeler Heaven to the Indian Ridge and Pinnacle Creek trail systems, will remain open along with the Pocahontas trail head right across the road from Four Wheeler Heaven! That means guests staying at Four Wheeler Heaven will still have access to the trailhead, where you can purchase official HMT merchandise; our guests will still have access to hundreds of miles of marked trails, including the Spearhead Trails’ Original Pocahontas trail system across the mountain from us in Virginia; and our guests will still have access to hundreds more miles of “outlaw” trails, which can be navigated with a hired trail guide or a tablet with “outlaw” trail maps! In case you missed the news, the Pocahontas trail system will temporarily close on December 3, 2018 due to mining. This will impact ATV routes to Bramwell, Bluewell and Montcalm. 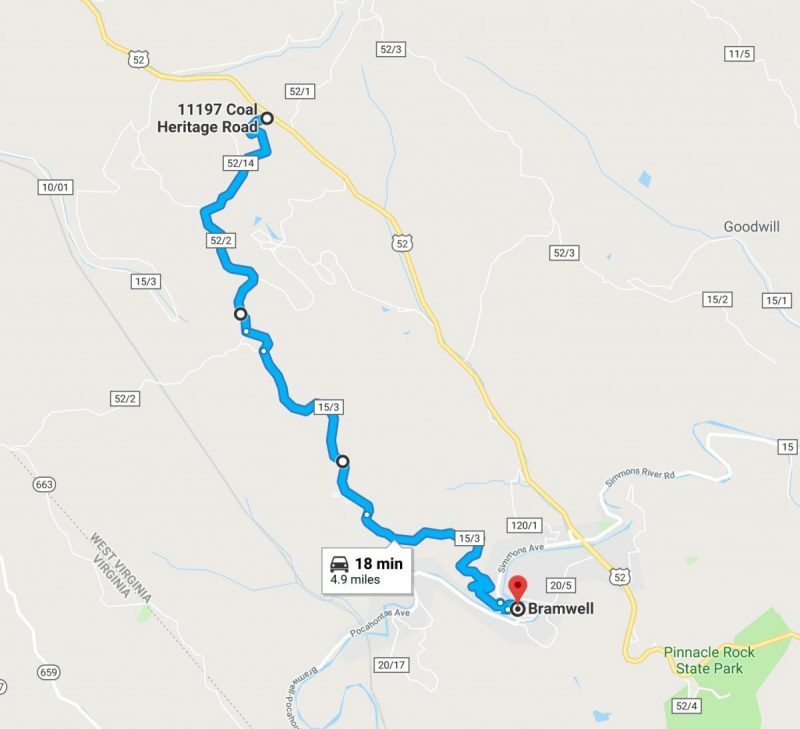 We have been informed by Hatfield McCoy Trails that they are working on a new connector around the area to be closed off, but if no other route is available after December 3, our guests can take Coaldale Mountain Road and take a left at the fork to Bramwell Hill Road, which will drop into Bramwell. This is a narrow, residential paved road that should always be available for travel between Coaldale and Bramwell! Guests can also access the Spearhead Trails’ Original Pocahontas trail system, which has about 65 miles of marked trails just across the mountain from us in Southwest Virginia! To get there, guests can also take Coaldale Mountain Road and take a right at the fork. We are about 4 miles from the nearest access to the Spearhead Trails! We are already taking lodging and camping reservations for 2019, and we still have availabilities in November and December 2018! Call us at 855-5-TRAILS or visit fourwheelerheaven.com to make your reservation at Four Wheeler Heaven today! We can also answer any questions you may have about the upcoming trail closures, hiring a local trail guide or renting one of our tablets pre-loaded with trail maps!